Yup, you read that right. 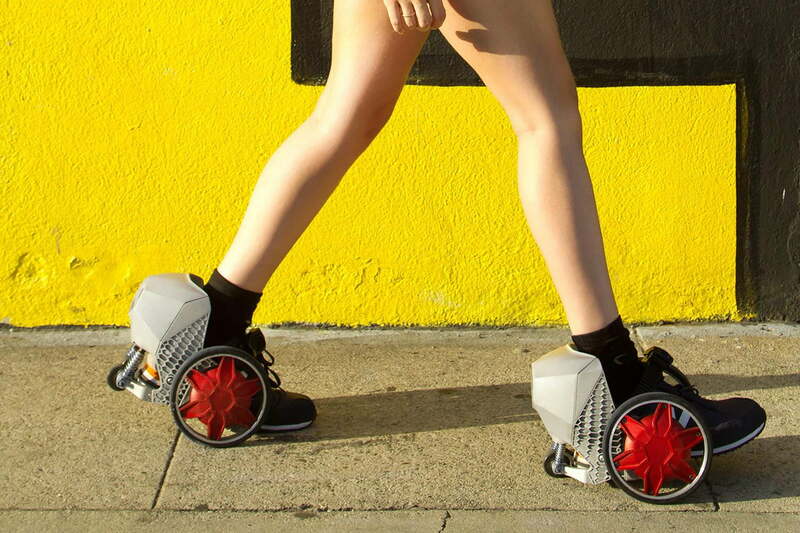 At long last, rocket skates are a real thing that legitimately exist in the universe that you and I inhabit. Now, before you sell your car to scrounge up enough cash to buy a pair, you should probably know that, despite their name, these skates aren’t actually rocket powered. That might sound like a bit of a let-down at first, but trust us — it’s a good thing. Unless you’re gunning for a Darwin Award this year, you probably don’t want rockets strapped to your feet. The physics of it just aren’t in your favor, so instead of actual rockets, these skates are outfitted with wheels and electric motors. This way you get all the mobility benefits without the flaming feet and lack of speed control. 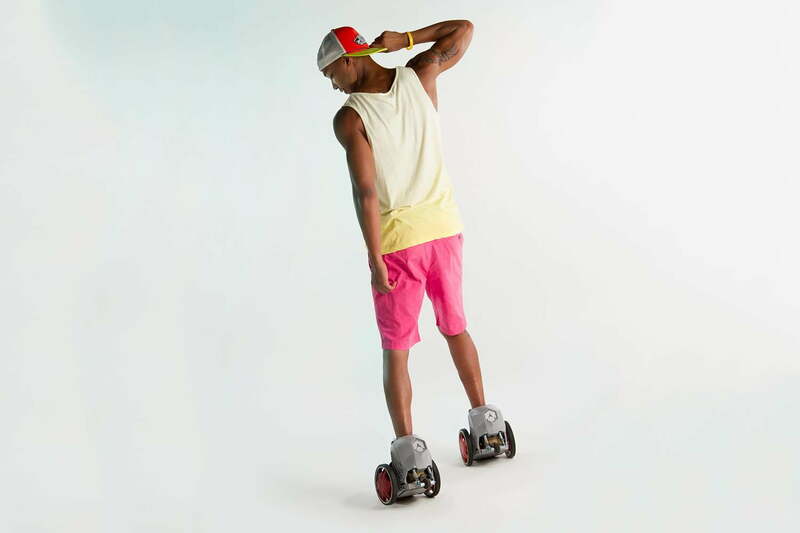 Designed by Los Angeles-based startup Acton, RocketSkates are basically like a pair of small Segways you strap to your feet. Each skate sports a pair of brushless motors that work together to zip you around town on a set of wheels. To move forward, you simply tilt your lead foot forward a bit. To slow down, just pull it back. And the best part? They’re completely hands-free. To get going, you just take a few steps to get the wheels spinning and the motors will automatically kick in. Unlike Acton’s first product, SpinKiX (which are admittedly quite similar), these skates are designed so that you can still walk in them … sort of. As you can see in the video below, the wheels are placed near the center of your foot, which leaves your toes completely open. This means you can still touch the ground if you need to, so doing things like running up a set of stairs, hopping over a sewer grate, or jumping onto a curb are easy to pull off. The company currently offers three different models of the skate, each of which has a progressively longer battery life than the last. The RS-6 will get you 45 minutes of cruising time, the RS-8 taps out after 60 minutes, and the RS-10 skates will get you a full 90 minutes. Unsurprisingly, models with higher battery ratings also carry higher price tags. If you back the project now, you can lock down pair of RS-6 skates for $399, with higher-end RS-8 and RS-10 models going for $499 and $599 respectively. That’s definitely a bit on the steep side, but did you really expect the world’s first pair of RocketSkates to be cheap? Acton is seeking $50,000 for the first production run, and expects to ship the first models to backers as early as September.